There is special. And then there’s special. Welcome to Cabot Links. Where God has touched the Cape Breton landscape, the American architectural duo of Bill Coore and former Masters winner Ben Crenshaw has adapted it to golf courses so stunning they instantly become classics. We’re smashing through the waves toward shore in our Zodiac. Heads lowered, shoulders braced against the wind, salt air stings the nostrils. The beach lies just ahead. We’re ready for any action. Golf action, in this case. We’re the shock troops of One Ocean Expeditionshitting the beach on Cape Breton Island in what can only be described as a unique trip for the golf aficionado. Yes, we’re a little old to be a SEAL team, but the excitement and drama of transferring from an icebreaker to the shore via Zodiacs every day to play some of the most renowned golf courses in Canada is thrilling. Really, there’s no other word for it as you cut through the morning air to make landfall. One Ocean Expeditions of Squamish, B.C., has come up with a unique concept, sailing through and around the Gulf of St. Lawrence to take players to Cabot Cliffs, Cabot Links, the Links at Crowbush Cove and Highland Links. Just the mention of those courses thrills the avid player. And One Ocean has gathered the four of them into a one-week sojourn aboard the Akademik Ioffe, designed and built as a scientific research vessel that typically plies the Arctic and Antarctic. As we prepare to come ashore, there’s a real sense of how special this inaugural voyage is for the assembled golfers from across Canada. Cleverly called Fiddles and Sticks, the tour is a seven-day excursion that combines golf, kayaking, cycling and paddle boarding with gourmet meals and cultural events (a fiddler and mandolinist followed us everywhere). The cruise embarked in the shadow of Louisburg, the historic fortress south of Sydney, N.S., finding its way to Cape Breton, Île de la Madeleine, P.E.I.’s north shore and back to Cape Breton. As this was the first such golf voyage for One Ocean Expeditions (they’ve been doing other expeditions since 2008), there was a sense of wonder and surprise in both crew and the hundred-or-so passengers. Where they’re usually ferrying passengers to see puffins or penguins in Antarctica, conveying golfers and their gear to a sandy beach is a new experience. Even pelting rain or howling wind can’t deter the people in their Zodiacs from their appointed rounds. 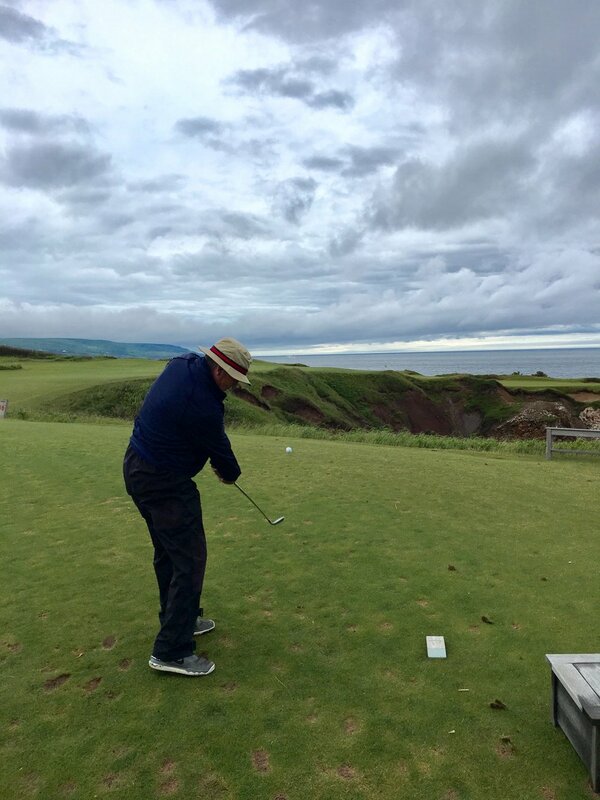 And the games at the acclaimed Cabot Links and Cliffs prove to be worth the anticipation. For One Ocean, a company that stresses education and sustainable tourism, the new venture into golf represents a bridge between their work in the northern and southern hemispheres. When the two sailings of the summer are done, the ship heads north to Labrador and Baffin Island and then on to Spitsbergen, Norway, in the high Arctic. Andrew Prossin is the founder and CEO of One Ocean and he grew up dreaming of the sea in Cape Breton. Later, he was winning races across the Atlantic in a 30-foot sailboat and sailing around Cape Horn in a 70-knot Southern Ocean gale. The Queen’s University grad notes that he’s worked in the “coldest, highest, darkest, windiest, loneliest places on Earth.” In 2014, he was part of the team that discovered HMS Erebus, one of Sir John Franklin’s ships wrecked more than 170 years ago in an expedition to the ice-choked Northwest Passage. Is he afraid that the country-club image of golf might be a mixed message for his usual market? Next season, the tour will be on a larger ship more suited to tourism, not research, as they introduce the RCGS Resolute. Plans also include a golf trip around the waters of the sport’s home: Scotland, England and Ireland. They will also continue to have naturalists and scientists mixing with the passengers to help educate. For times, itineraries, prices and more information on booking a Fiddles and Sticks tour, go to @oneoceanexpeditions, @oneoceangolf). And hold on tight as your Zodiac hits the shore. 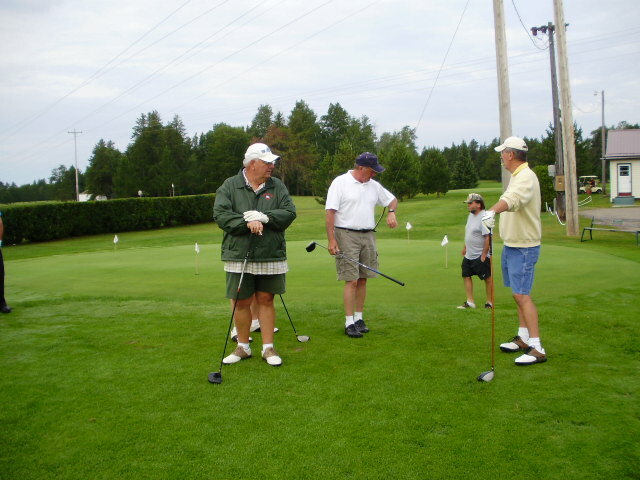 Winter has lingered long this year, but soon you’ll be having a great time on the golf course with your friends, exchanging stories and laughs. The air will be warm, the course welcoming, the beer cold. People travelling south in the winter are always intent of getting plenty of sunshine and sand. For that reason, two of Florida’s premier PGA facilities are just the ticket. The axiom goes that the shaft is the engine room of the golf club. In recent years, we’ve learned that having the proper shaft on our favourite club head will give us better performance -- especially with drivers. Oh, it also helps to have a swing that doesn’t look like a screen door coming off its hinges. “Fertilize it and they will come” might well be the motto of FarmLinks Golf at Pursell Farms. About an hour south of Birmingham, Alabama, the 3,500-acre property belongs to the Pursell family, which made its name in the world of commercial fertilizers (they sold to Canadian company Agrium back in 2006). When they were looking to expand their recreational and ornamental fertilizer business in the 1990s, they were faced with a choice. Hire a large, costly sales staff to fan out across North America to sell their patented product. You can’t get more classic in golf course architecture than Donald Ross, the venerable Scottish / American pioneer who laid out classic courses such as Pinehurst No.2, Seminole and Oakland Hills during the first decades of the 20th century. For a game just gaining a popular foothold in the United States, Ross’ designs were the DNA of the sport in America as he created courses for communities, wealthy individuals and resorts. The Seattle area was a golf magnet for Canadians long before the USGA awarded the Open to Tacoma’s Chambers Bay for 2015. With its proximity to Vancouver and its year-round facilities, the environs of the Emerald City have been popular for courses such as Sahalee, Washington National and the Golf Club At Newcastle. When golf travellers think of Idaho, tucked in the U.S. northwest, they typically mention courses in Boise and Sun Valley in the south of the state. But there is much to recommend closer to Canada in the northern portion of the state centred on the beautiful lake city of Coeur d'Alene. With its rolling hills and rocky shoreline it resembles Canadian cottage regions such as the Laurentians or Muskoka. If you're thinking about a Hawaii getaway, take it from the Dowbboy: these golf resprts are the way to go. 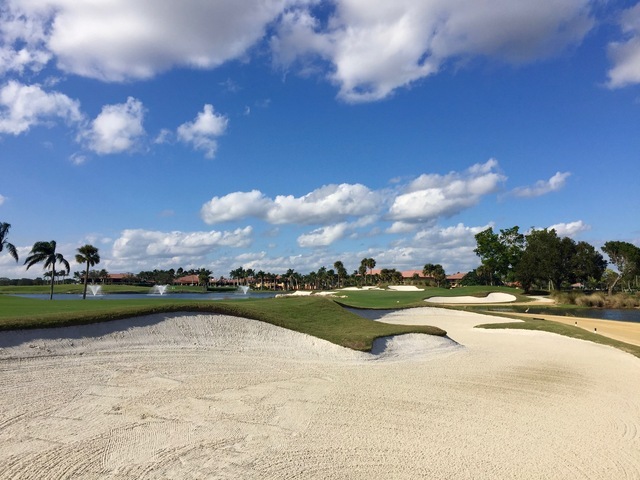 This story was originally published in The Globe and Mail on March 19, 2013 and focuses on the highlights of the PGA National and PGA Village golf courses.